Provide comfort for the family of Sandra Gates with a meaningful gesture of sympathy. Sandra K. Gates, 81 of Scotland, formerly of Shippensburg, passed away Thursday, March 14, 2019 in the Chambersburg Hospital. She was born May 18, 1937 in Hershey, PA. Sandy was a daughter of the late Charles and Helen Griffith Koontz. She was a member of the Shippensburg Historical Society and the Shippensburg Civic Club. She was a member of the Memorial Lutheran Church, Shippensburg, and the Chambersburg Country Club. Sandy was a past chairman of the Shippensburg Park & Recreation Commission, a member of the Beta Sigma Phi Sorority, the Shippensburg Junior Civic Club and United Way. 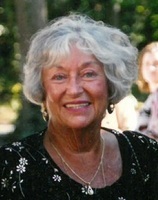 She was active with the Cumberland Valley School of Music and a 1954 graduate of the former Shippensburg High School. She is survived by her husband, John H. Gates, one daughter, Lisa Gates of Venice, FL, one son, Andrew C. Gates and his wife Ruth of Fairport, NY and two grandchildren, James and Rachel Gates. In addition to her parents, Sandy was preceded in death by one son, David H. Gates. Memorial services will be held privately. Burial will take place in the Spring Hill Cemetery. Consider providing a gift of comfort for the family of Sandra Gates by sending flowers. You never saw Sandy that she did not provide a beautiful smile and a welcoming gesture. My families prayers truly go out for Sandy, John and her whole family. As a boy growing up in Shippensburg I had the privilege of knowing Mrs. Gates. It was an honor. Even back then she touched so my lives to include mine. She was a lovely lady and I'm grateful for the privilege of knowing her. A life well-lived, Sandy. Rest in peace.